The summer solstice awaits us this weekend, why not have a little vino to celebrate. 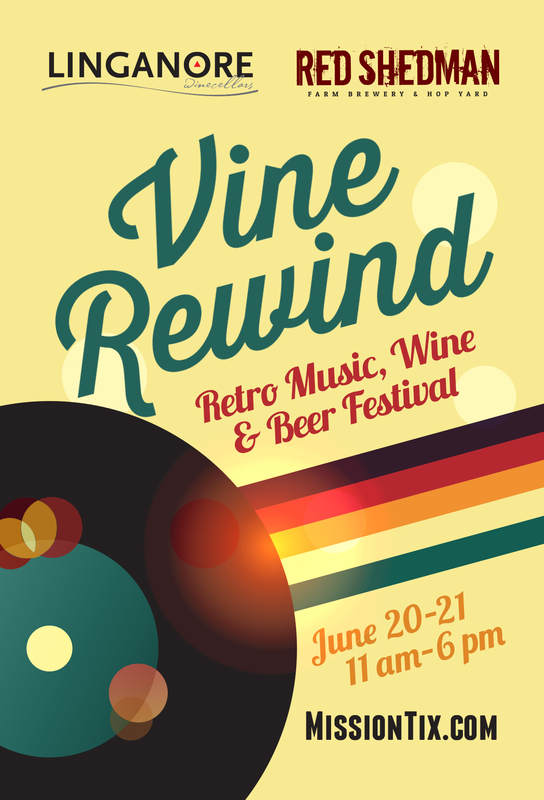 The Linganore Vineyards hosts its 4th annual Vine Rewind Retro Wine Music & Art Festival this weekend. If you didn’t catch the theme of the festival in the name, its all about “Retro.” The music will be from the 70’s, 80’s and 90’s; hopefully the wine won’t be. If you have a classic car, get there early, the first fifty cars get in free and get to park inside the festival grounds to be part of the classic car show. Wylde Fire kicks of the party at 11:30am and this event will be local band Spiral’s last official show as members disband to take on new projects. They hit the stage at 3pm. Loose Ties and The Reflex perform on Sunday.